Crosswalk the Musical is back, and this one just might be the most epic. 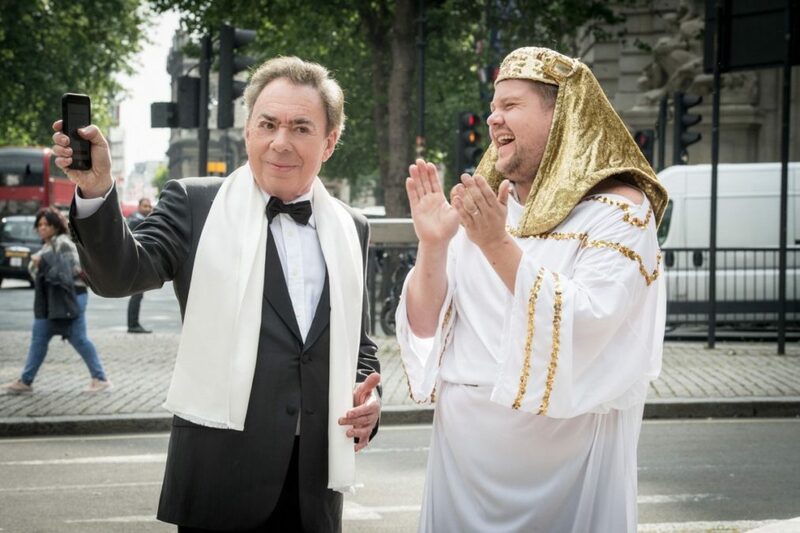 Fresh off his Lifetime Achievement Tony Award win, iconic composer Andrew Lloyd Webber joined Tony winner James Corden for a new episode of The Late Late Show's beloved musical segment with a one-of-a-kind tribute to some of the songwriter's most loved shows. Sing along with the talented pair as they offer a medley of songs from hit musicals The Phantom of the Opera, Cats, Joseph and the Amazing Technicolor Dreamcoat, Evita and School of Rock below.